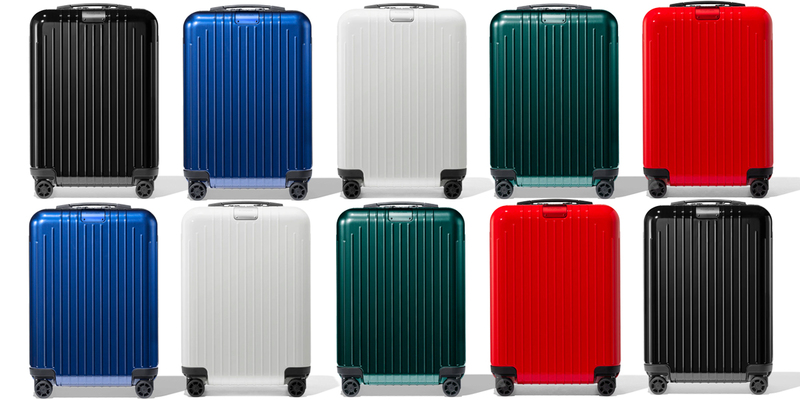 France’s answer to Samsonite, Delsey is the world’s second largest luggage manufacturer offering first-rate value. Adding loads of luxe details and subtracting sticker-shock has been the key to their popularity. And they’ve been perfecting their trade for quite a while, kicking off their business in 1946 with camera and typewriter cases before switching to suitcases. Today they sell a broad range of bags, from hard-shell suitcases with posh details to tech-savvy soft-side pieces. 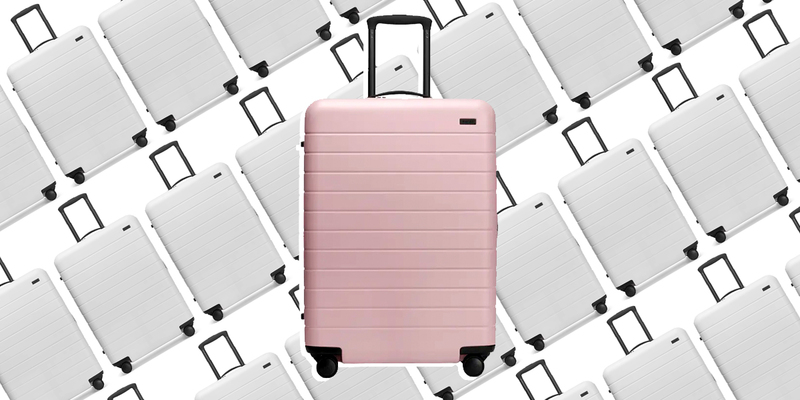 And while Delsey might not be on a first-name basis with U.S. travelers, they certainly are well-known in Europe, where they’re a top luggage brand. When stateside fashion influencers catch on, you can say you knew of Delsey from way back when. As undeniably French as a wheel of Brie, Delsey’s style is free-spirited and fashion-conscious. Sleek hardware is one hallmark, but it’s the subtle details—like a tiny French flag stitched to the base of a carry-on—that give its pieces a certain je ne sais quoi. With those little flourishes, it’s clear the brand pays attention to every centimeter of their suitcases. Some are streamlined and angular, whereas others have a softer look, with rounded corners and curved seams. 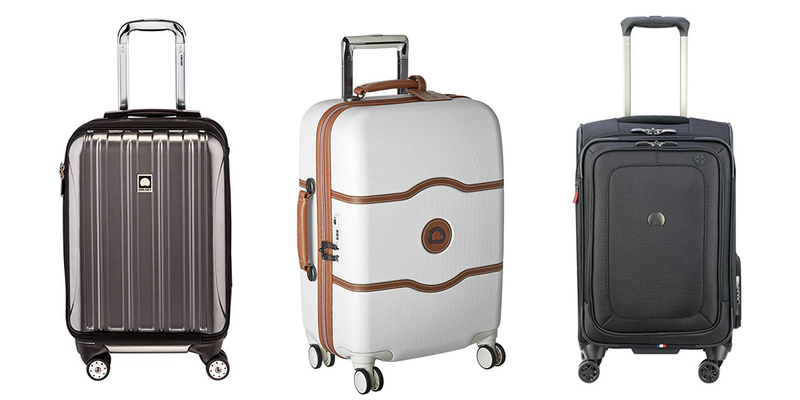 Despite multiple designs across their collections, all suitcases are unmistakably Delsey. Often it’s what’s inside that give them away: The tightly weaved fabric lining interiors comes in a rich sheen. Another tell-tale Delsey sign is their “rising sun” logo, a sunny reminder to keep exploring to new horizons. Bonjour, beautiful! Named after the busy Parisian neighborhood, the Châtelet is quite the looker. Encased in chocolate brown or a gorgeous champagne color (pity this’ll get dirty), it’s accented with faux camel-leather trim and contrasting white stitching. The detailing belts around the bag's center, lines its perimeter, front logo, and top and side handles. Inside it's every bit as elegant (if a touch over-the-top), lined in satiny-red fabric. There are two packing compartments with pull-down straps, and a zippered divider with a mesh section that contains a hanger, plus laundry and shoe bags. But this bag isn’t all style and no substance. Its hard-shell is made from Makrolon, a thermoplastic designed to withstand extreme heat and impact while staying lightweight. Its four double-spinner wheels also have a signature “smart break” system. The front two can be locked, so your bag won't drift off while you're standing in line, but the back two still move freely, so you can move forward. Safety features include a built-in recessed lock that's TSA-approved and a registration plaque so your bag can be ID'd if it's lost. 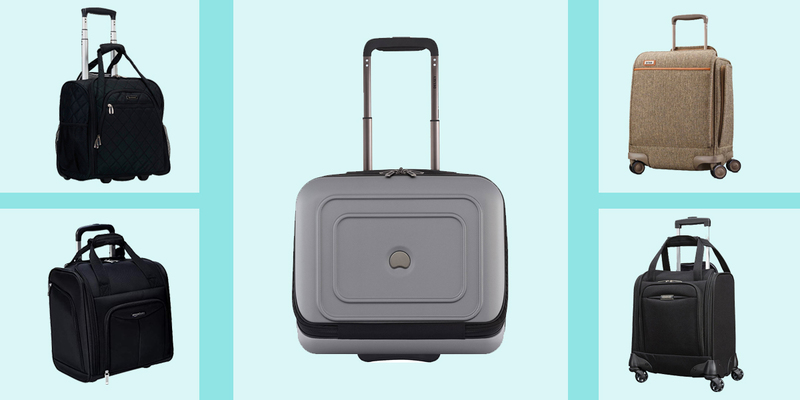 This carry-on solves one of the biggest headaches of hard-shell devotees: No outside pockets. Here, a clever tilt-out front pocket gives easy-access to all your gear. Two padded slipcases inside can hold a tablet and 15-inch laptop, and two zippered mesh pockets are for stash cords and chargers. But it’s worth noting, not everyone’s a fan; some find its design more awkward than innovative. It’s also a trade off: this front pocket means less space inside (although there is a two-inch expansion section offering overpackers some forgiveness). And the main compartment offers loads of helpful details, like tie-down straps, a side-zippered pocket, and middle divider with its own zippered compartment. All of it is wrapped in a durable polycarbonate shell stylishly etched with vertical ridges in a metallic finish. 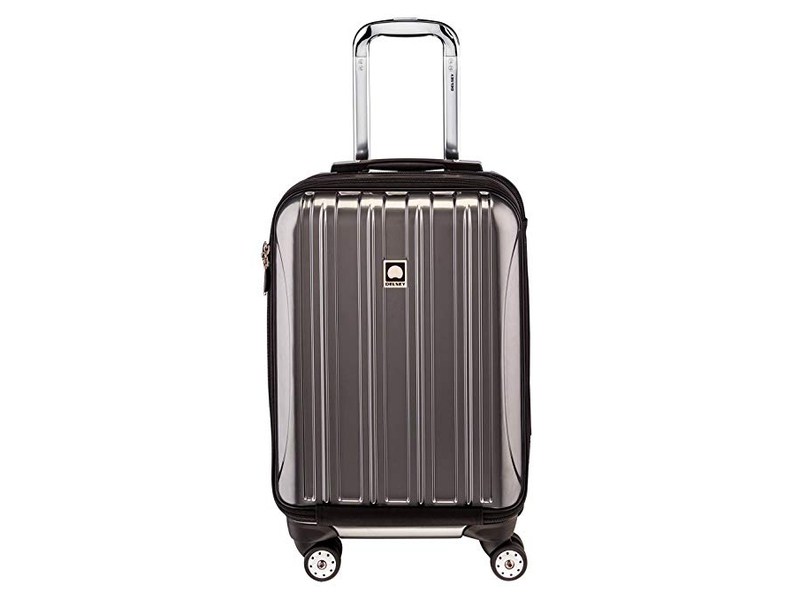 Four double-spinner wheels and a dual-position telescopic handle keep this whole package super portable. 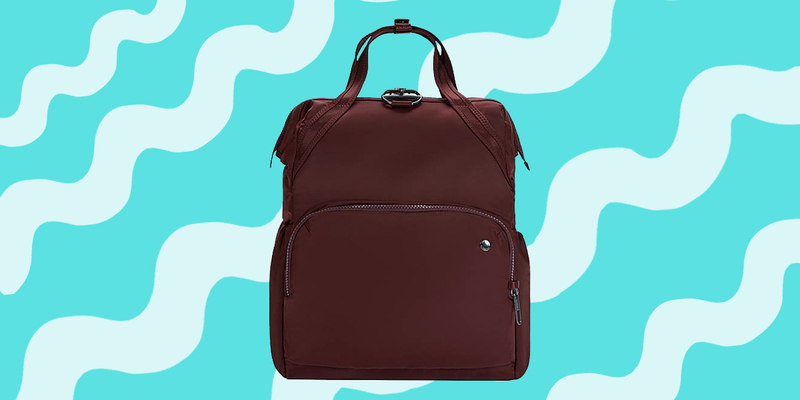 Just keep in mind, this bag isn’t the lightest choice, clocking in at eight pounds, and it’s not the smallest either—that 19-inch height in its name doesn't include the wheels and handle. 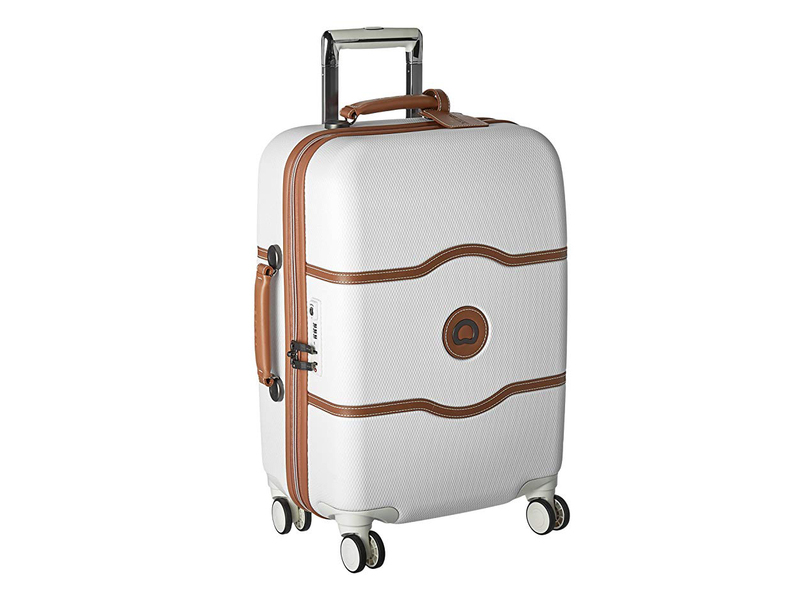 Lest you think Delsey is all about the hard-shells, this carry-on proves the company can do justice to a soft-sided suitcase, too. Like our second pick, it has a foldout front pocket with padded neoprene sleeves suited for a 15-inch laptop and tablet. But this one isn’t as awkward because of the nylon’s flexibility, plus there’s a little cable port, so your devices can charge while safely zipped up inside. Then there's the side-door surprise: a shoebox-sized compartment with an air vent. It's definitely quirky, but sure to be loved by sneakerheads and other shoe fanatics. Another ultra-clever detail—there’s an overweight indicator in the side handle (it turns red if the bag hits 50 pounds); consider it a built-in intervention for overpackers. 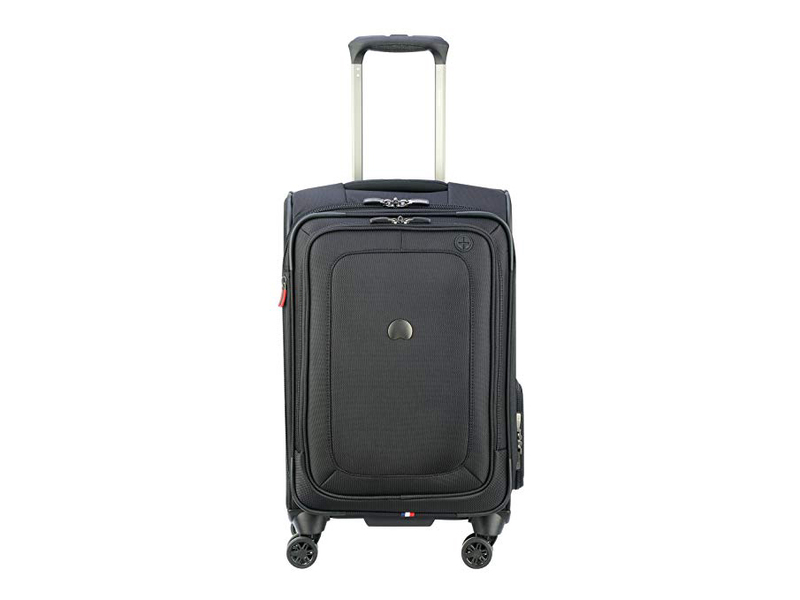 Other quality features are in line with the brand: four double spinner wheels, a TSA-accepted combination lock, and expandable two-inch section on the exterior. Plus elastic tie-down straps, three zippered pockets, and toiletry and wet pouches in the interior. And while the design doesn’t make as much of a statement, arched zippers nicely compliment the front pockets' curves. At base is a tiny design detail that makes us squee: a bitty French flag stitched in the center of the piping. Vive la France!